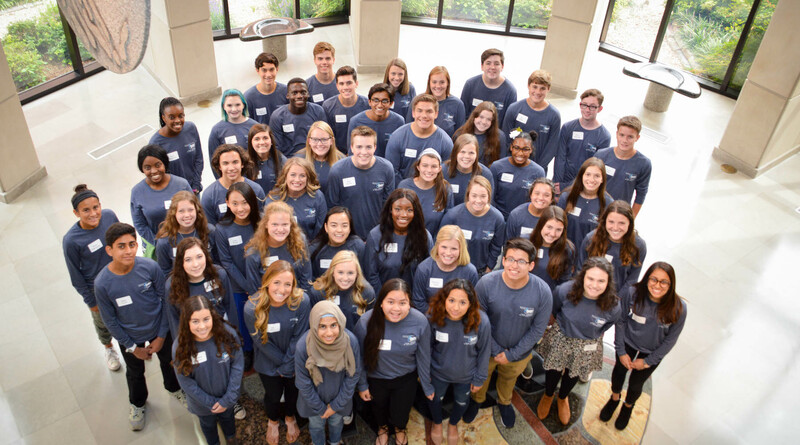 OMRF is now accepting applications for its seventh annual Teen Leaders in Philanthropy class. Applications are due March 15. High school sophomores, juniors and seniors are eligible to apply for the program, which helps students gain a deeper understanding of the nonprofit sector, develop hands-on leadership skills, learn about different types of giving and how they can best implement these skills in their communities. Up to 45 students will be selected for the 2019-20 school year. The cost is free for students, and all expenses are covered by OMRF. Students selected as teen leaders will learn the fundamentals of development, board structure, networking, fundraising and using social media. They will work collectively on a special event to cap off the program activities in the spring. Group sessions will begin in September and continue throughout the 2019-20 school year. Students chosen for the program must demonstrate good academic standing and attend school in Oklahoma. For more information, visit omrf.org/teen-leaders.